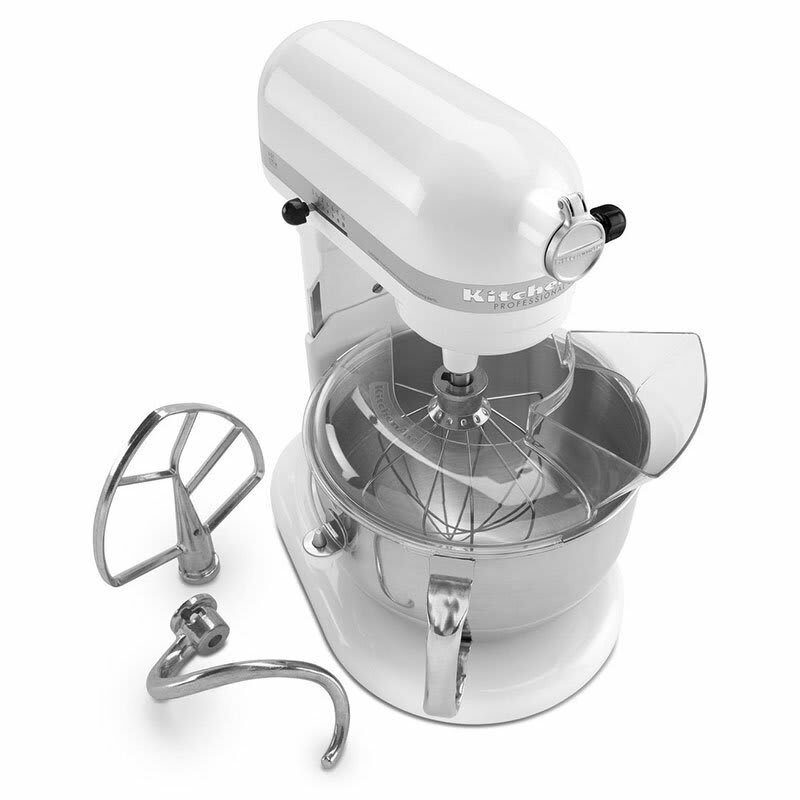 This KitchenAid Professional 600 Series mixer has a white finish, and comes with a 6-quart stainless steel bowl. The 67-point planetary mixing motion ensures that all ingredients are incorporated, while the Soft Start feature prevents splatter by moving gradually into each of the 10 available speeds. This model comes with a spiral PowerKnead™ dough hook, flat beater, wire whip, and pouring shield. Professional 600 series with pouring shield, 6 qt. 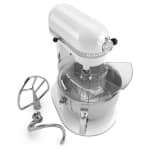 polished stainless steel bowl with comfortable handle, burnished flat beater, burnished PowerKnead spiral dough hook and wire whip, pouring shield, stain nickel hinged hug cover, commercial auto reset, comfort bowl lift handle, 120v/60/1ph, White. Warranty not valid when used in commercial environment such as a bar or restaurant.